HBO Chairman & CEO Richard Plepler told Variety that ‘everybody is in for an extraordinary treat of storytelling and magical production’. Game of Thrones Season 8 is all set to air from April. The final season of the highly successful fantasy show Game of Thrones is all set to air from April. HBO Chairman & CEO Richard Plepler has seen all six episodes and he says it is like ‘watching a movie’. Richard Plepler added that the rough cuts have exceeded his expectations. “They (DB Weiss and David Benioff) knew the bar was high. They’ve exceeded the bar. I’ve watched them twice without any CGI and I’m in awe. Everybody’s in for an extraordinary treat of storytelling and of magical, magical production,” Plepler said. HBO dropped the first teaser of its final season during the Golden Globes 2019 ceremony. Even though the season will only have six episodes, it is rumoured that the episodes will be 90 minutes long. 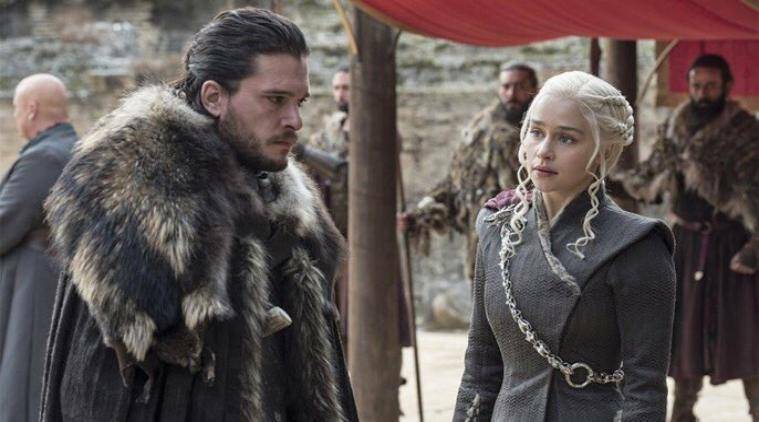 The teaser shows Daenerys Targaryen and Jon Snow in Winterfell along with Sansa Stark and fans were hardly able to contain their excitement.